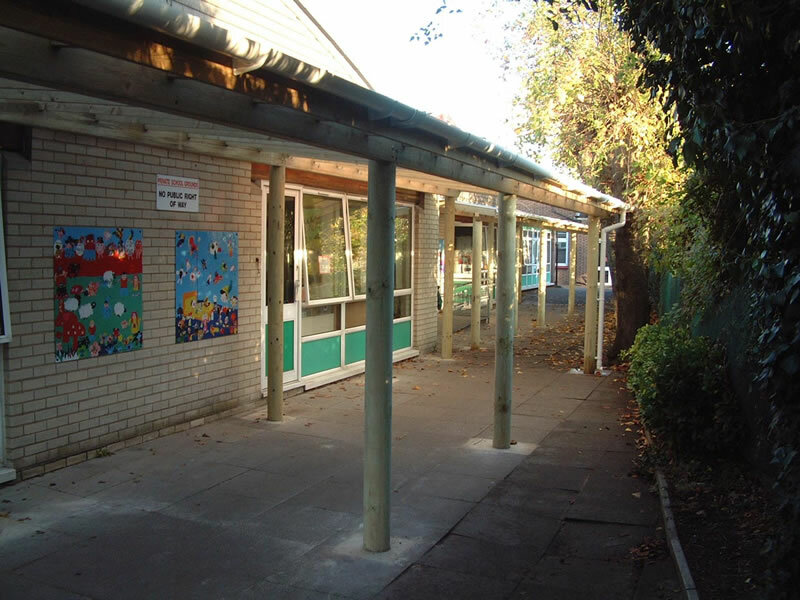 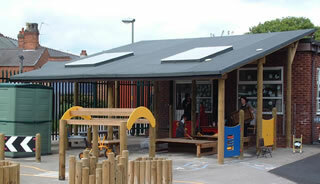 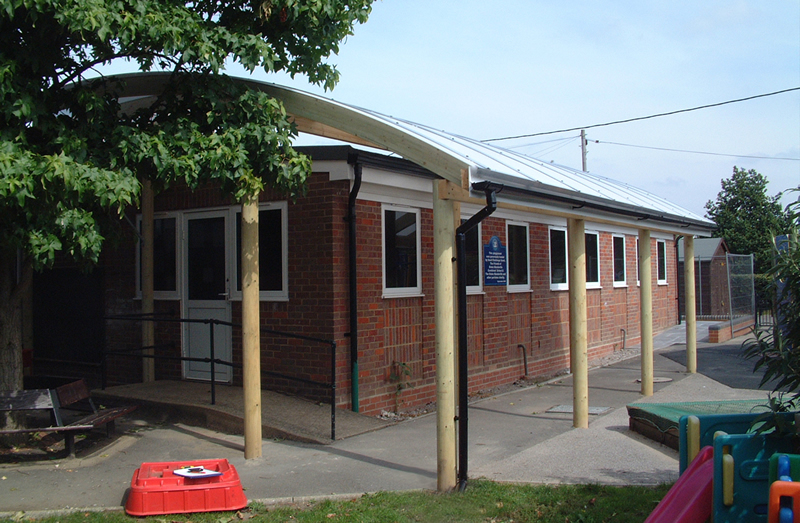 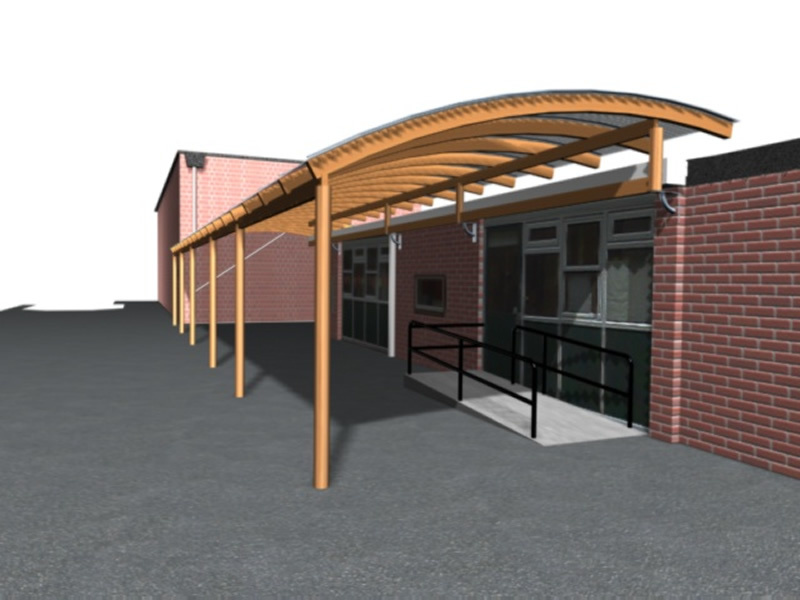 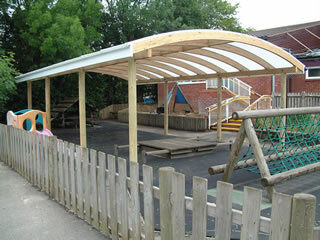 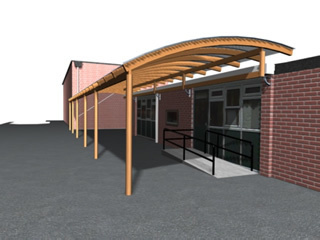 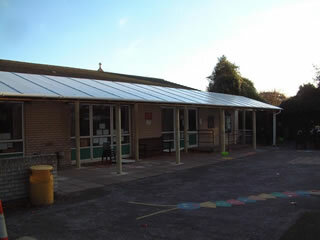 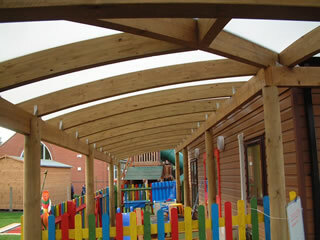 The latest additions to our outdoor shelter range are our outdoor wooden canopies. 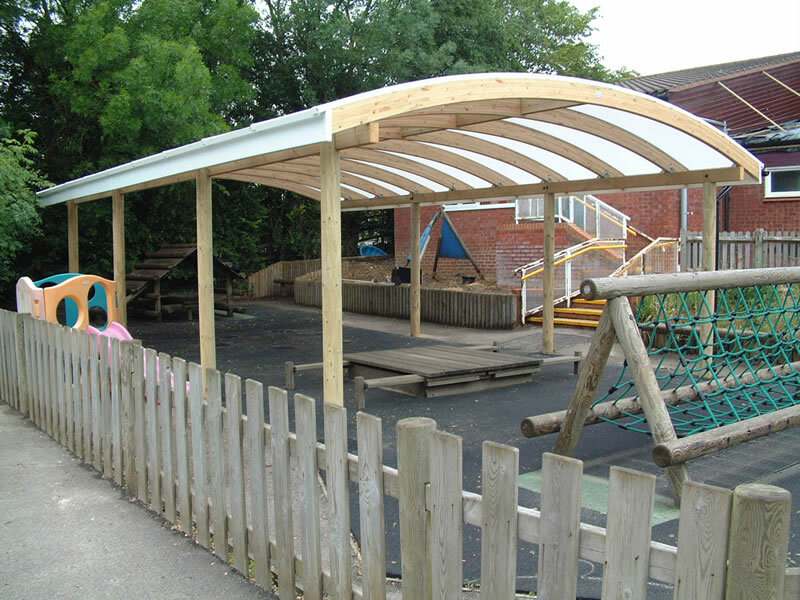 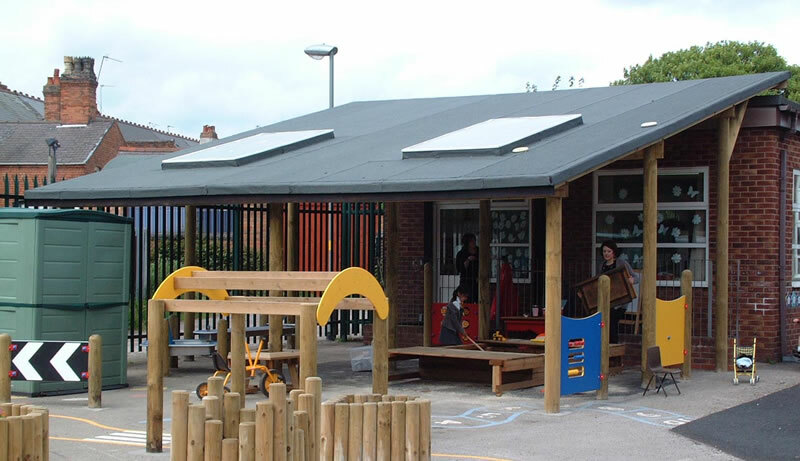 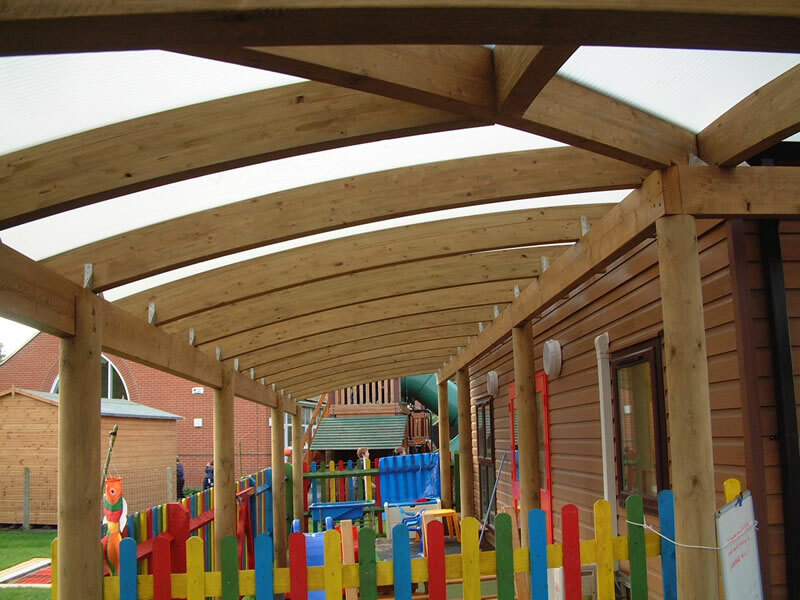 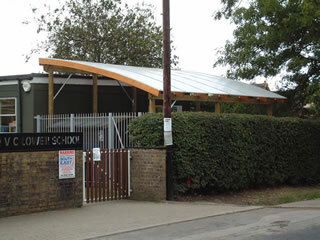 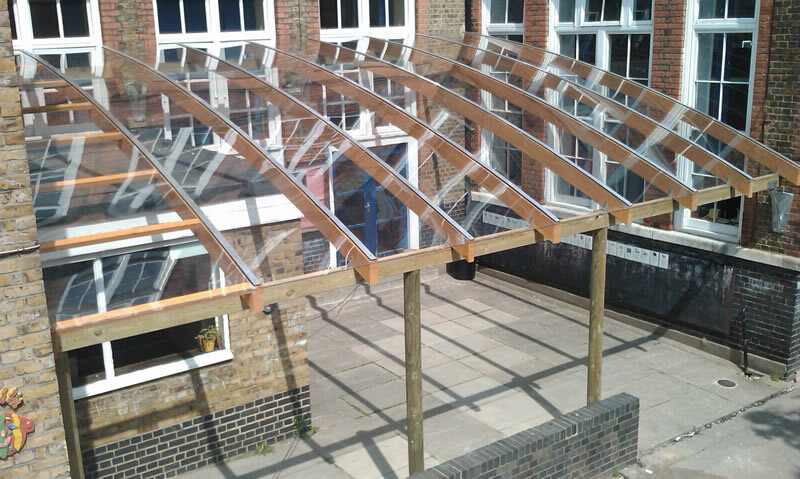 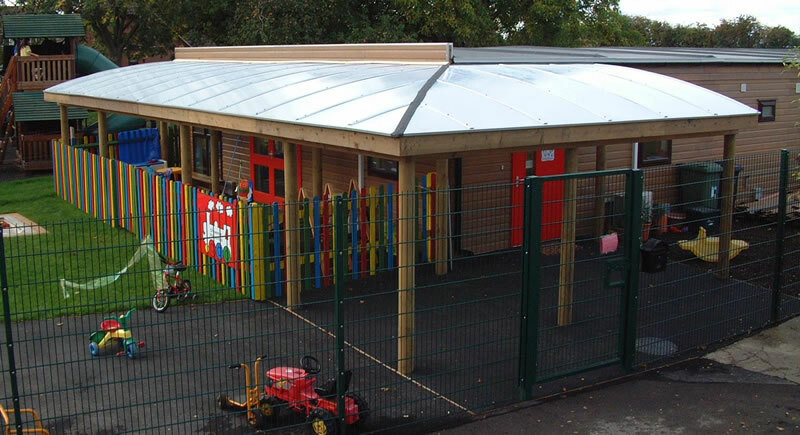 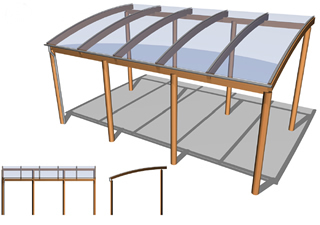 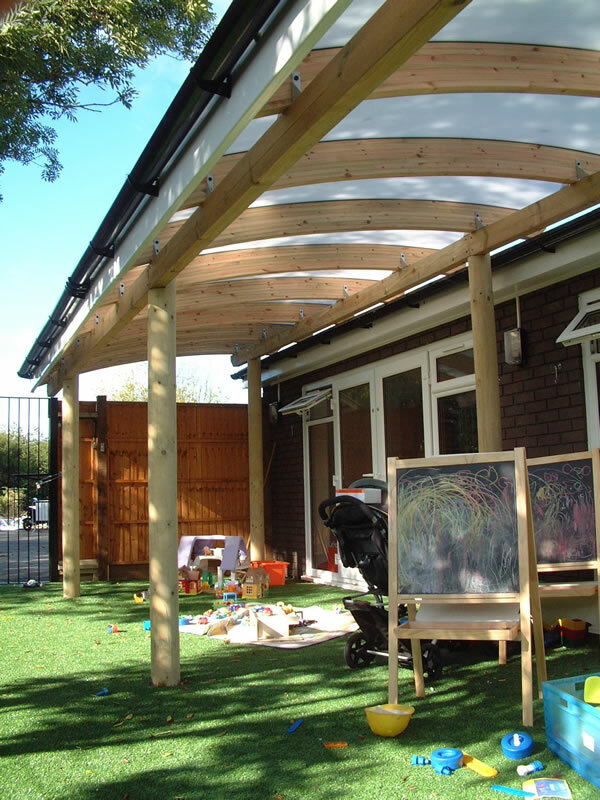 The first style of wooden canopy is a flat roof version, made using an opal polycarbonate roof covering that has a dual function of filtering out 98% of harmful UV rays, whilst at the same time increasing the light flow beneath. 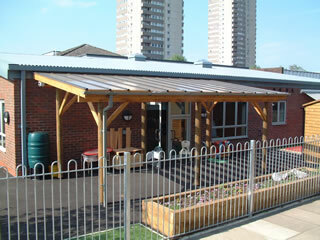 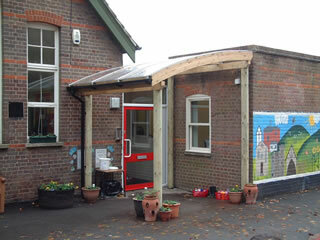 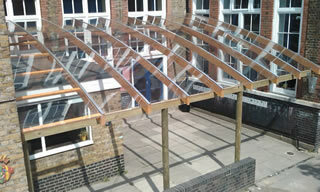 The second version of wooden canopy has been produced for those locations where appearance is a priority. This timber canopy is a flowing sculptural structure, with a unique curved beam design that brings an aesthetic quality, to what is still a very practical structure. The roof covering is the same opal polycarbonate material that has been used in the flat roof version, so has the same dual purpose qualities.